Christmas is a very special time of the year. A few weeks of peace, family reunions, dinners and happiness in which children are the protagonists. If you want to congratulate Christmas to yours in an original way you can create your own Santa Voice Changer to record personalized messages. 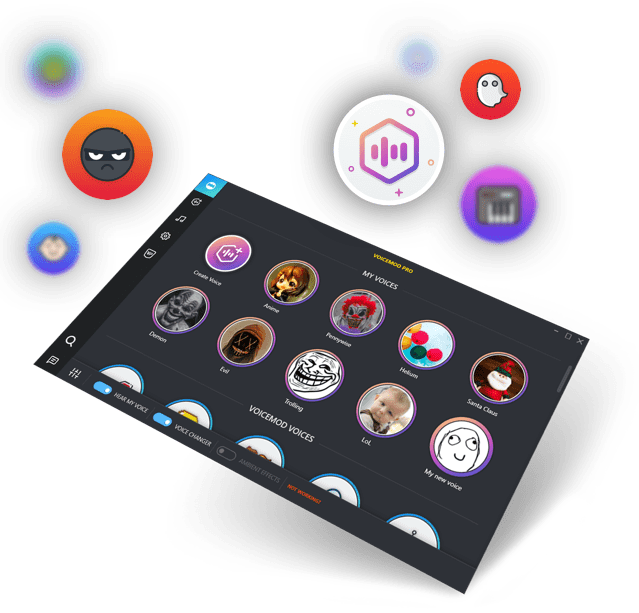 Connect Voicemod PRO to your PC and record messages full of joy imitating the voice of Santa Claus. Record you own Santa voice saying merry christmas! HO HO HO! For Feedback and Support: Contact us here. Do you want to imitate the voice of Santa Claus to record Christmas messages to the little ones? 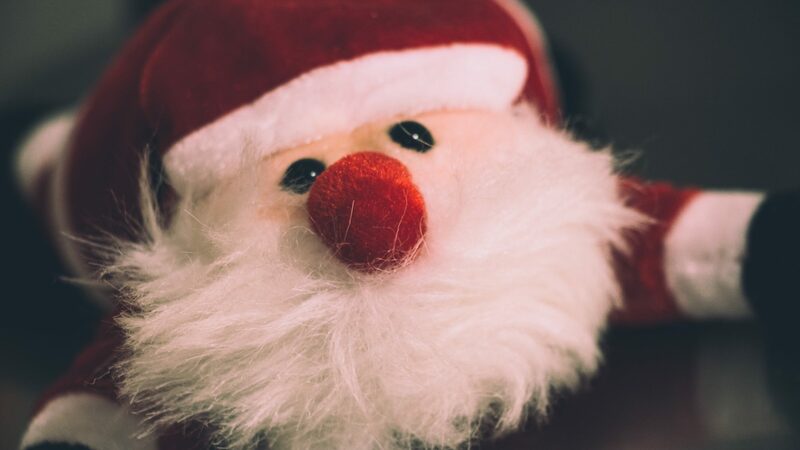 Do you want to record a video dressed up as Santa and let your voice sound like yours in real time? 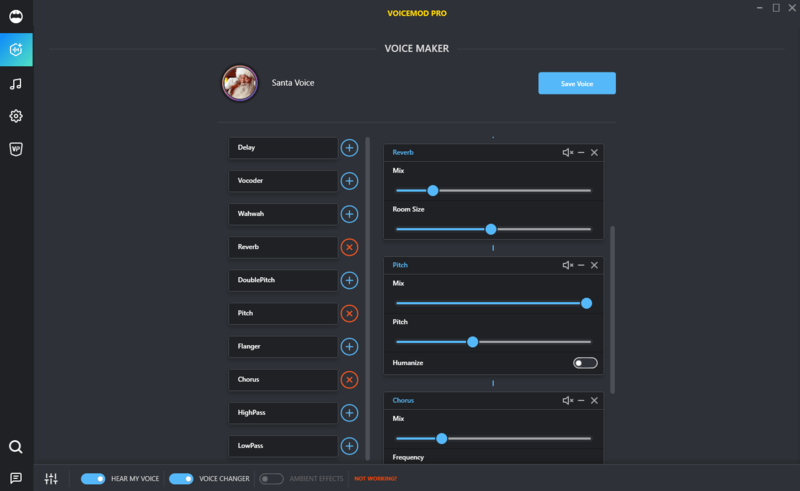 Voicemod PRO offers everything you need to create your own Santa Voice Maker and congratulate Christmas to your family and friends in the original way. It is only necessary to connect your microphone, access the Voicemod Voice Maker, adjust a pair of parameters of the included audio effects and ... HO HO HO! Merry Christmas to all! You can brighten the holidays to your close relatives using a software recorder and send personalized audio congratulations with the voice of Santa, call the children of your family through communication tools such as Skype and make them believe that they are talking to Santa himself, Ask them if they have behaved well and tell them the gifts they will receive at parties. All you need is to install the Voicemod PR and create your own Santa Voice Changer in real time. How to do a Santa Voice? Execute Voicemod PRO and enter the Voice Maker (Voice Generator) function to confide a personalized voice. First choose the reverb effect and adjust the Mix to 25% and the Room Size to 50%. Then select the Pitch effect and adjust it as follows to give a low tone to the voice: Mix at 100%, Pitch at 40% and Humanize "OFF"
Now you can record record original congratulations for Christmas with your Santa voice and surprise the children of your family. HO HO HO! Merry Christmas! In case you do not want to complicate generating your own personalized voice of Santa you can choose the voice "Santa" in our collection of voices.